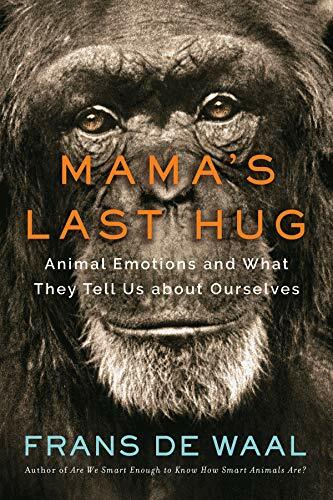 FRANS DE WAAL: The alpha male literature, at the moment, in the business world is all about bullying. It's like, 'I'm the biggest, and meanest, and strongest, and I'll beat you over the head.' It is basically also seen as a personality characteristic, too "Do you have an alpha personality?" I'm partly responsible for the term "alpha male" because I wrote Chimpanzee Politics very long ago, and it was recommended by Newt Gingrich to the Republicans to read. I don't know what good it did, but the term "alpha male" became very popular after that. And for example, the last election, 2016, the word was used all the time to explain the behavior of certain candidates, especially the one who won the election. And so "alpha male," the term, has been used over and over, and I think in a very narrow sense. It's always been used in the sense like, who's the biggest and the strongest? Now, for me, that is not really what the alpha male is about. I think being big and strong has benefits. And certainly, in a chimpanzee society, being big and strong is a way to get to the top. But then once you're at the top, I usually distinguish two kinds of alpha males. I consider the bullies, those are the ones who frighten everybody, and terrorize everybody, and beat them over the head, and win the fights, and so on. And the leaders, the ones who mediate in conflicts, they stop conflicts, they are consoler-in-chief; if someone is distressed because they have lost a fight or whatever, they go over there. In human society, you can see that kind of role also. For example, the pope will go to a village that has been destroyed by an earthquake, or the president will go to a place that had been hurt by a hurricane. So the consoler-in-chief is extremely important. And the mediation role of settling fights and keeping the unity of the group, basically, the unifier of the group, is a very important role as well. And so that's the leader side. The bullies usually end poorly. In the wild, in chimpanzees, we have bullies who get expelled or even killed by the group. And I think their reign lasts fewer years. So for example, a good alpha male, one of them in the wild lasted for 12 years. And I think the reason these males sometimes can be in power for 12 years is because the group likes them, and so the group has no reason to support a challenger. If there's a challenge coming along who challenges that alpha male, and he's a very good leader, they're going to defend him. They keep him in power. So it's almost like a democratic mechanism right there. And if it's a bully, then the first thing they do if there is a challenger is support the challenger. And so that's why also in chimpanzee society, the alpha male very often is a good leader and is a unifier. And I think it's always very unfortunate if people reduce the position of alpha male to being the strongest, and the meanest, and the biggest. The cultural notion of an alpha male as a strong, mean aggressor is rampant but wrong. The reality is more complex. Frans de Waal notes two types of alpha males: Bullies and leaders. In chimpanzee society, the former terrorizes the group while the latter mediates conflict. The reign of alpha male bullies usually ends poorly in the wild. Chimpanzee bullies get expelled or even killed by their group, while leader alphas are somewhat democratically kept in power, sometimes for as long as 12 years.